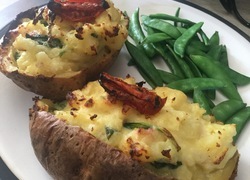 This delicious recipe is quick, easy to make and full of flavour. It will leave you feeling satisfied, particularly on a warm summer's day. To make dressing, add lime juice, Thai fish sauce, peanut oil, sweet chilli sauce, garlic, brown sugar, cashews and coriander in a bowl and keep in fridge until ready to serve. 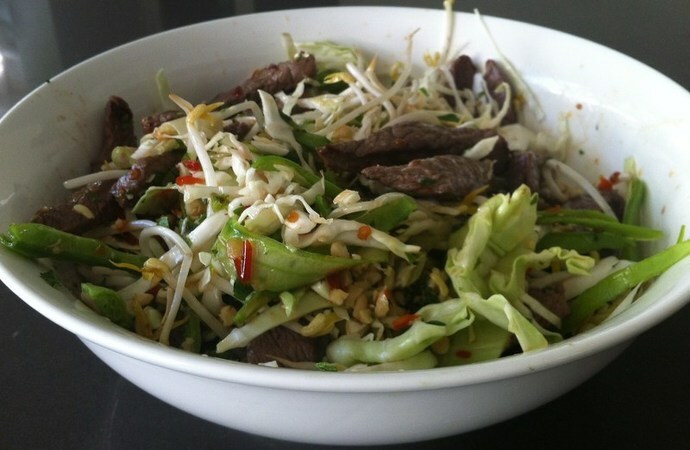 Prepare cucumber, cabbage, snow peas and bean sprouts and place in a large salad bowl. Season steak with salt & pepper and a dash of peanut oil. Cook on an extremely hot grill. Keep aside for 10 minutes until cool then thinly slice. Drape steak and dressing over salad ingredients. Garnish with a handful of coriander and mint leaves. NOTE: You may add alternative salads depending on the season for more crunch.